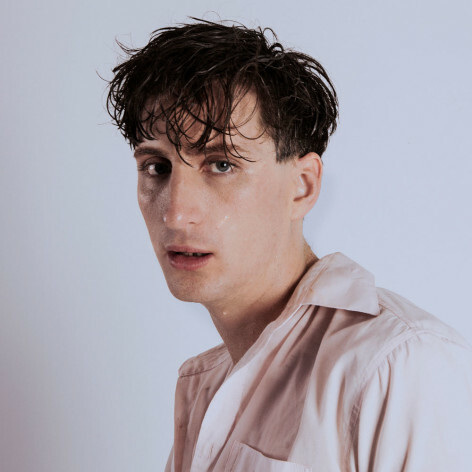 Kirin J Callinan has drawn a metophoric career slingshot from critical accliam and celebrity endorsements that right now is armed and aimed high. Starring first in the seminal band Mercy Arms, Kirin shed the band skin and went solo with the brilliant but brutal 2013 debut album ‘Embracism’ on the UK’s pretigious XL Records. The album arrived with wildly acclaimed videos for ‘Way II War’ by Kris Moyes and ‘Landslide’ by Vince Vendetta. Following the release of his debut album and great acclaim for its music, his show and his cavalier approach, Kirin started a collaboration with legendary producer Mark Ronson and plays on his ‘Uptown Funk’ album and toured with that record internationally. In just this past year Kirin cracked the binary code of social media with a naked bathtub sojourn and tour alongside Mac Demarco, played a year of shows including a glittering set at Paris Pitchfork and a brutal slot between Empress Of and Leif at the Terrible CMJ Party NJC, opening for Tame Impala at the celebrated Hollywood Cemetery shows, played the music if David Lynch in the ‘In Dreams’ show across Europe, tackled the MC role at Laneway Festival 2015. Kirin J Callinan is currently acting in Jane Campion’s “Top of the Lake” Series 2 and recording album #2 for release later in 2016.